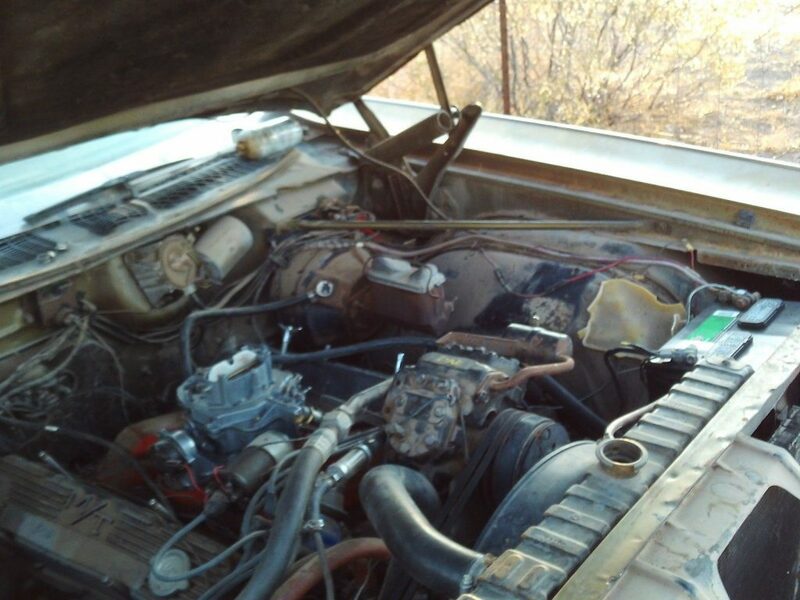 Started her with a hot wire And A GAS CAN OFF OF THE FUEL PUMP THE GAS INLET SPOUT SHOWED SIGNS OF EXCESSIVE RUST ,motor seamed strong. 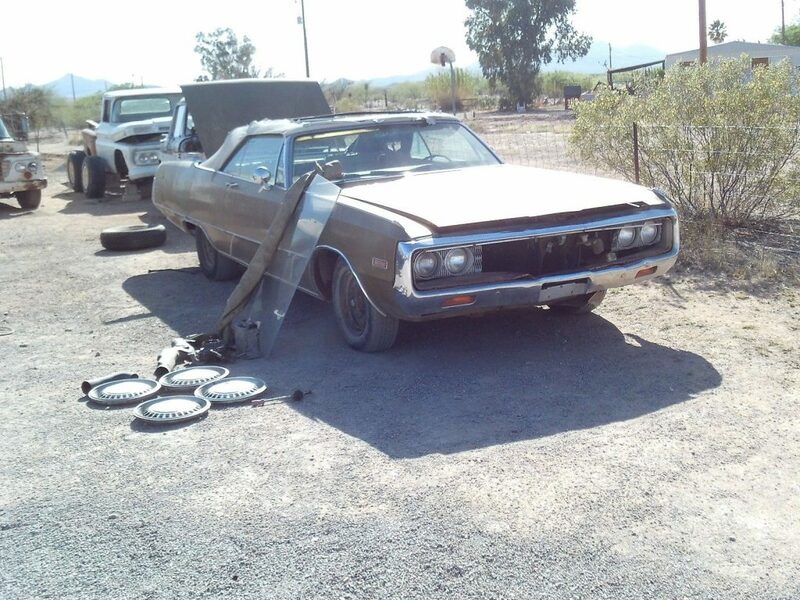 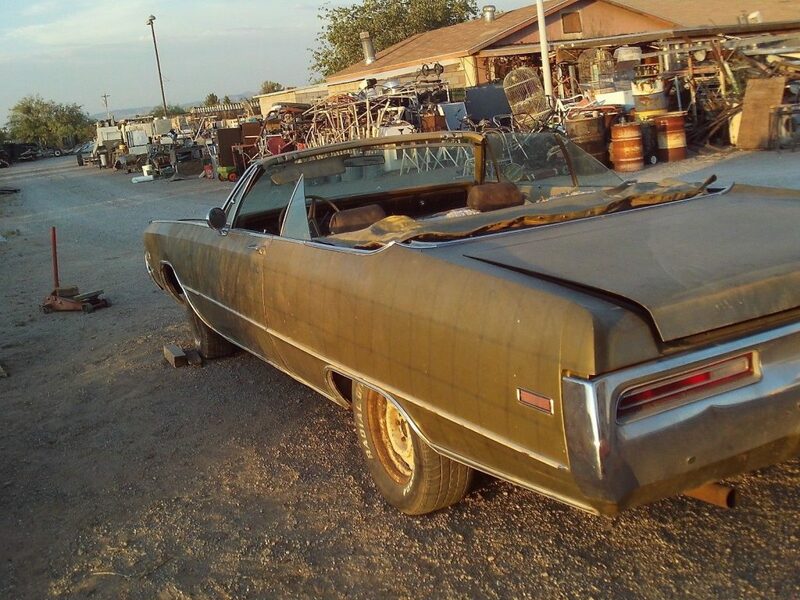 new Battery,New rebuilt carb, Good Ariz Project ,could only find rusted through spots in the trunk pan and trunk latch is rusted and broke,..windshield has a tennis ball circle crack off center behind rearview mirror & ,all other glass good as well as convertable top rear glass. 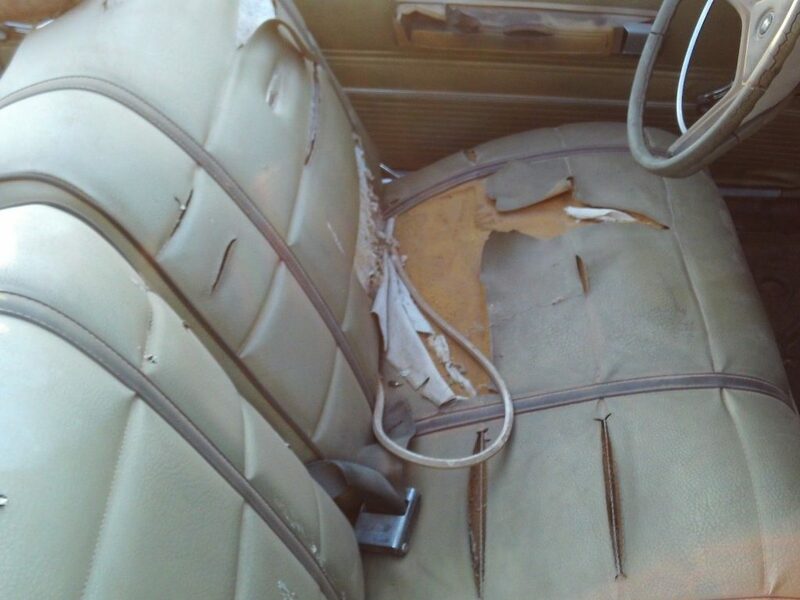 Needs ignition switch wiring work , will start & run by hotwiring ,interior rough.